Support for new entrants in the Energy Utilities Sector | Morrison Data Services - Leading metering services provider to the UK energy market. Facilitating rapid, low cost entry and ongoing support into the UK energy market; our industry expertise and experience has enabled us to develop a complete solution for those entering and operating within the UK energy market. USS simplifies the complex process of entering into and operating in the UK energy market. Working in collaboration with Utiliteam we support a new entrant’s application with industry expertise, the required software, pre-approved licenses and a managed service meaning all the various industry data obligations are combined into a single package at set rates as a one stop shop. 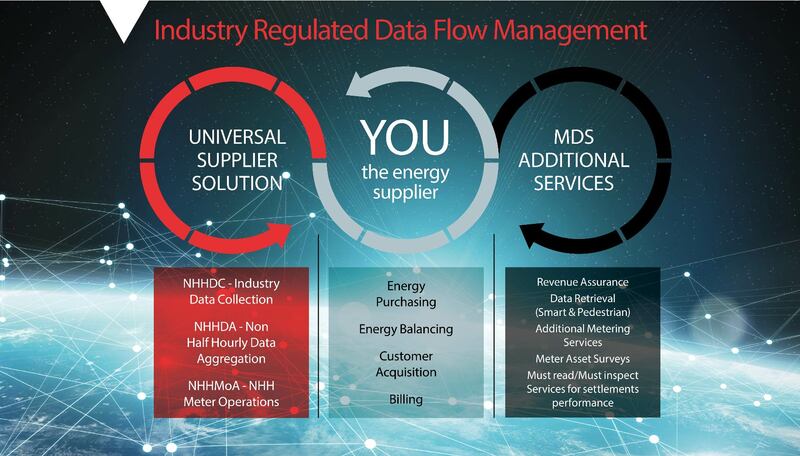 Unlike all other commercially available solutions, the Universal Supplier Solution includes all Supplier Data Flow Management Services including NHHDC, NHH DA and MOP/MAM data management as inclusive elements within the USS package. USS gives our clients full transparency and certainty of their cost base both now and in the future.